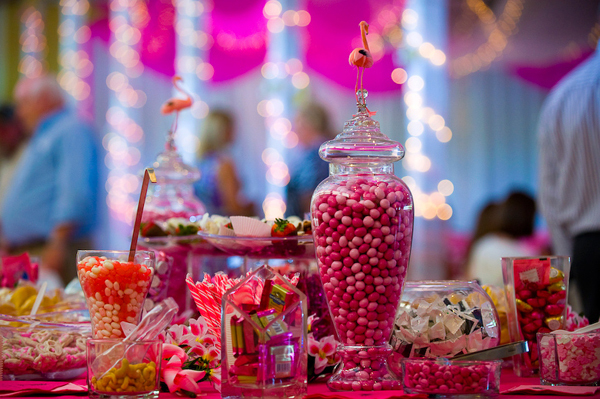 The candy has the magical ability to bring out the child in every single person. 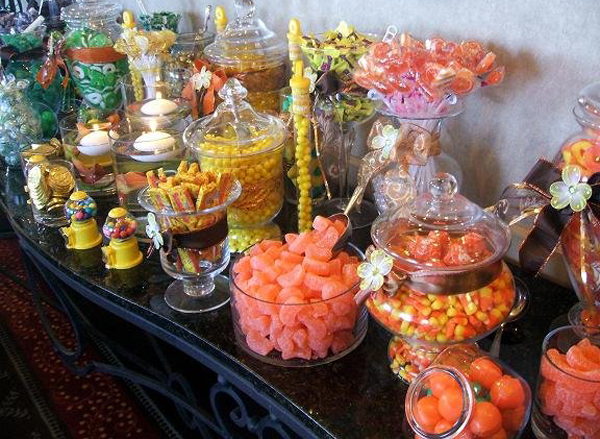 So if you want to evoke the sweet memories about people’s childhoods, consider surprising your guests with the candy buffet. 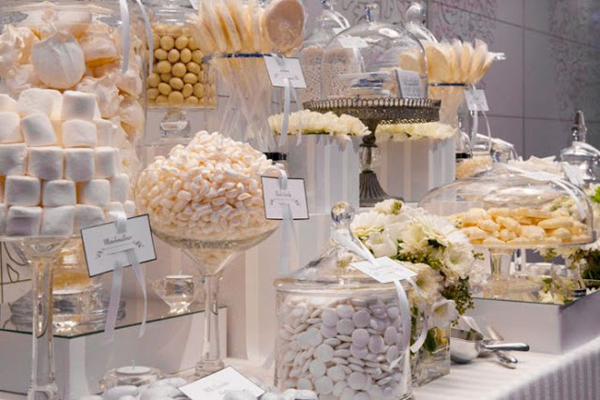 Besides bringing the sweet and fun vibe to your wedding reception, candy buffets can serve as a bold decorative element as well. 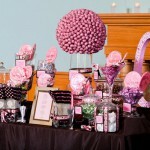 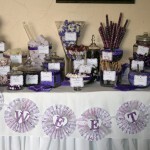 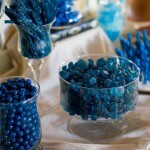 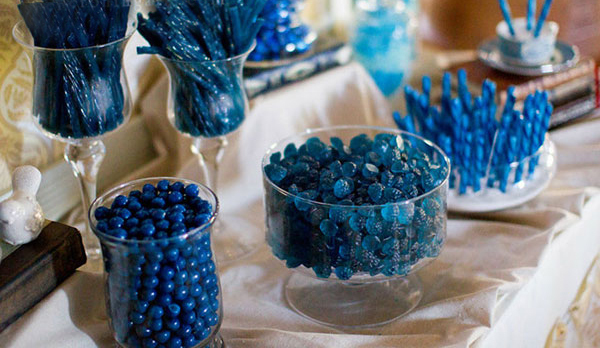 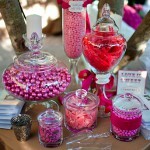 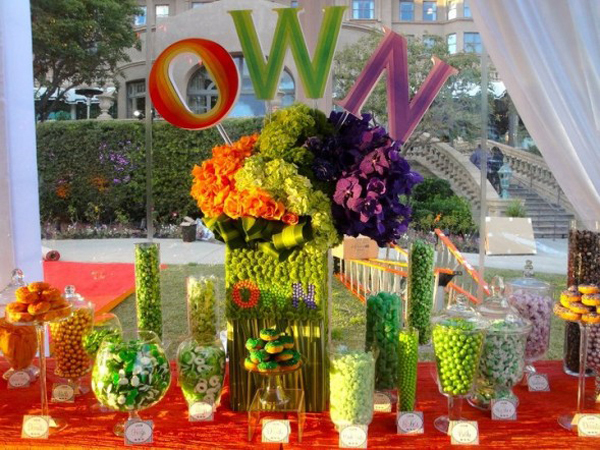 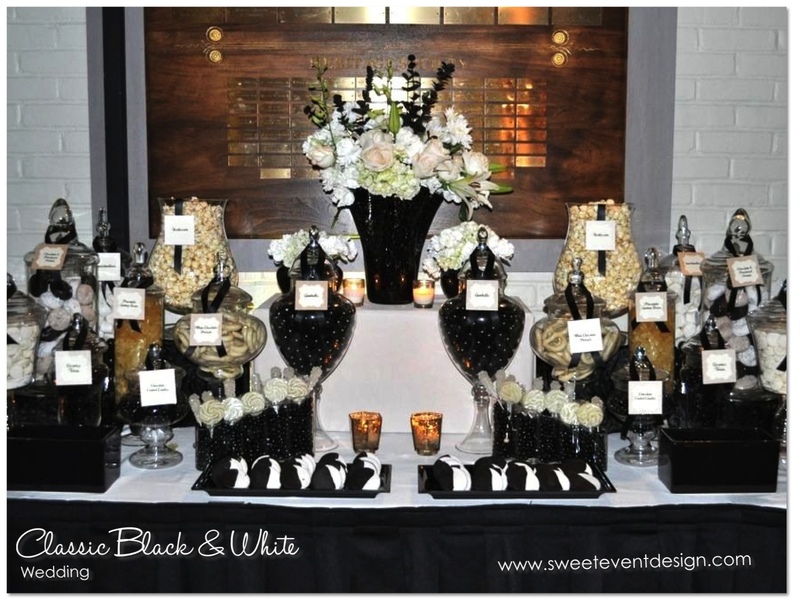 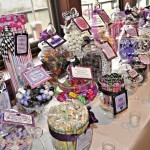 You may even use the candies are as the table centerpieces and even use them as wedding favors. 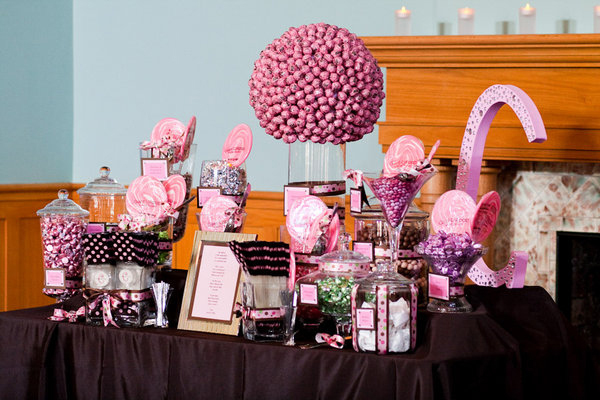 Go for the candy in the same color gamma your wedding reception colors. 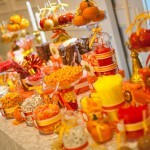 Consider using the suckers, candy-coated chocolates, lozenges and candy ribbons. 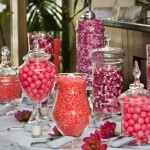 Another option is going for the candy that suits your wedding theme. 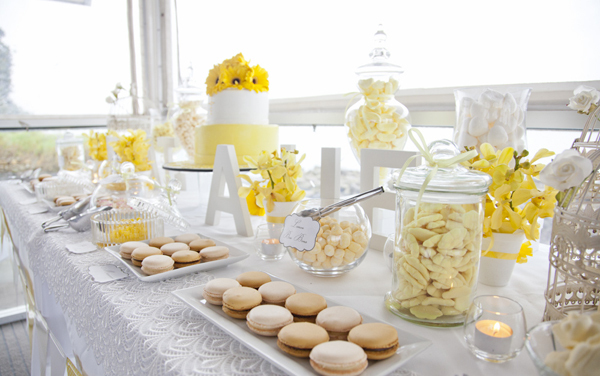 For instance, the salt water taffy will ideally suit the beach wedding. 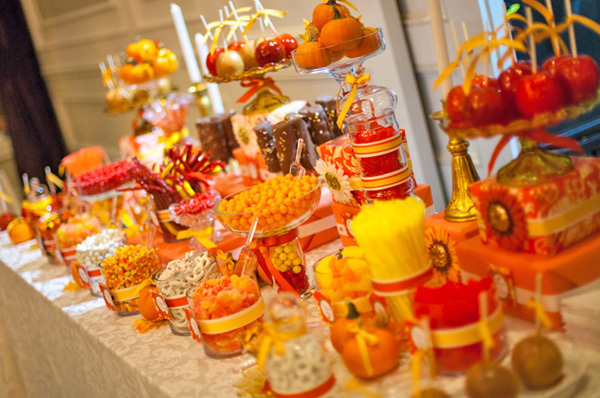 The key is rather than counting the number of candies per each guest, use the amount of candy that will allow creating the striking display. 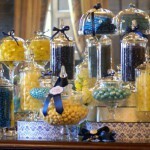 It is usually the containers of distinct sizes with approximately a dozen or so of different types of candy. 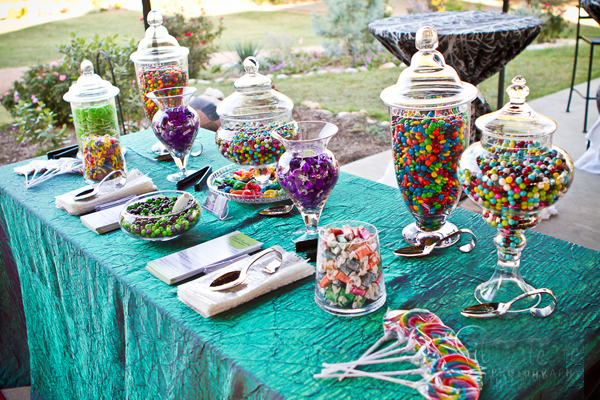 Don’t worry about extra candies since you will be able to take them home with you or give to your guests. 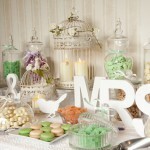 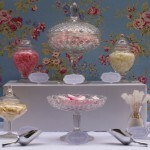 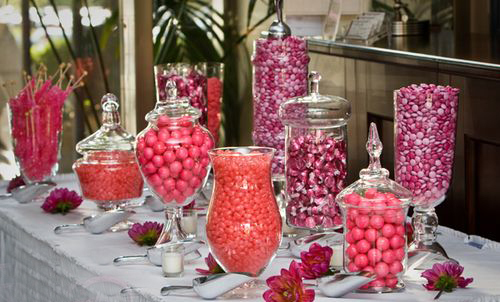 Think about the way you will be serving candies including the glass jars, transparent bowls or even glass vases. 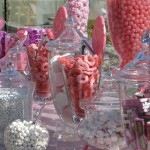 Don’t forget to put scoops made either from plastic or metal. 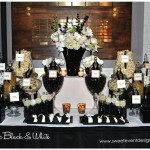 If you want to save money, consider renting the containers from the florist or wedding supply companies. 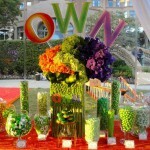 Keep in mind that containers of the distinct types and sizes allow creating an impressive display. 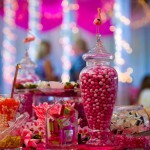 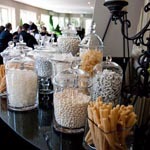 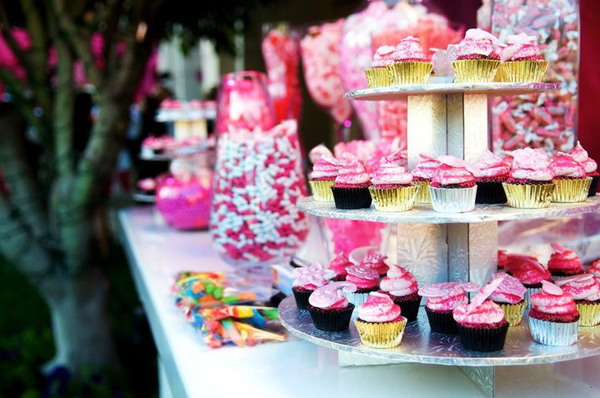 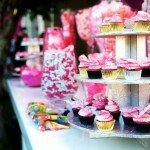 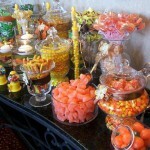 Another aspect you should take into consideration is the way your guests will be carrying the candies. 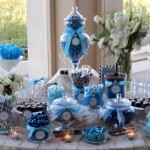 It could be either the small cellophane or paper bags or boxes with your initials printed on them. 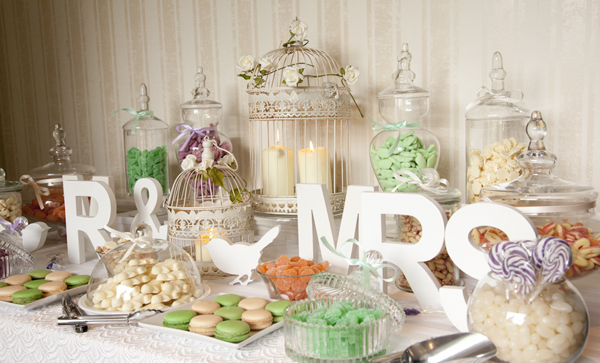 In order to install the buffet, cover the table with plain material and don’t forget to complement it with the runner in your wedding colors. 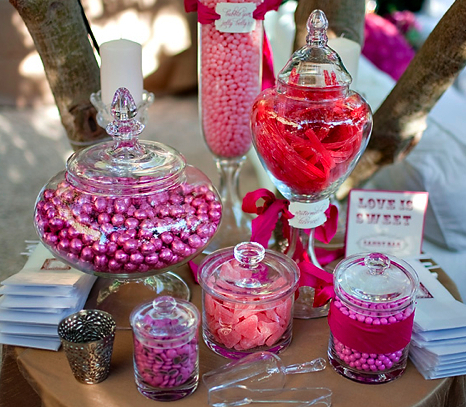 Fill the containers with the distinct types of candies and set them at the different levels. 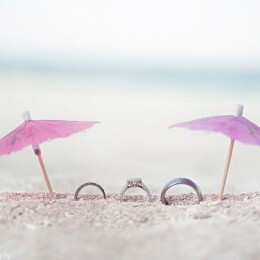 In order to reach the effect of distinct levels, you may either use the books covered with the cloth or special studdings. 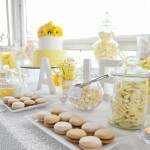 You may embellish the buffet with flowers, twinkle lights or confetti. 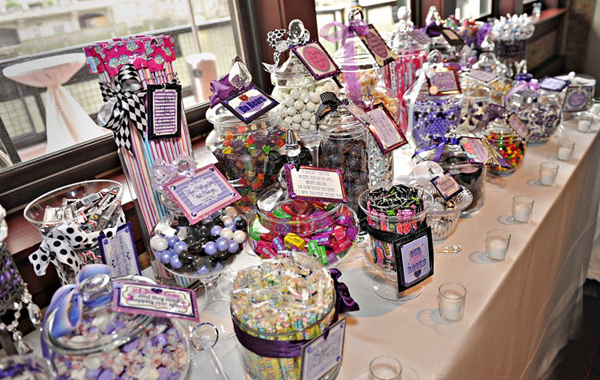 Put the boxes or bags for candies at the both ends of the buffet table. 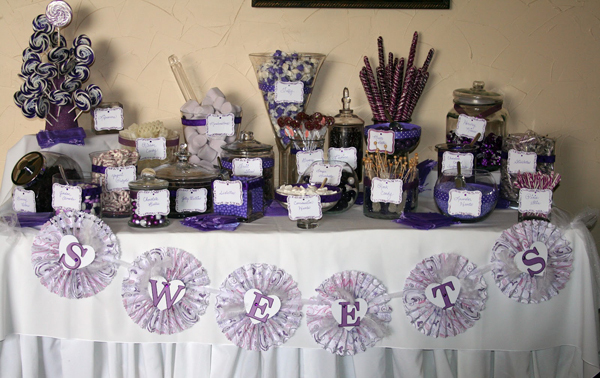 Consider placing the child’s photos of the bride and groom on the buffet table. 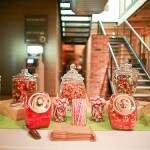 It would be even more fun if it will be photos where two of you eat candies. 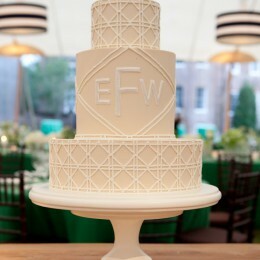 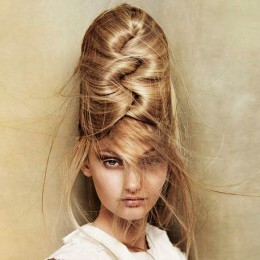 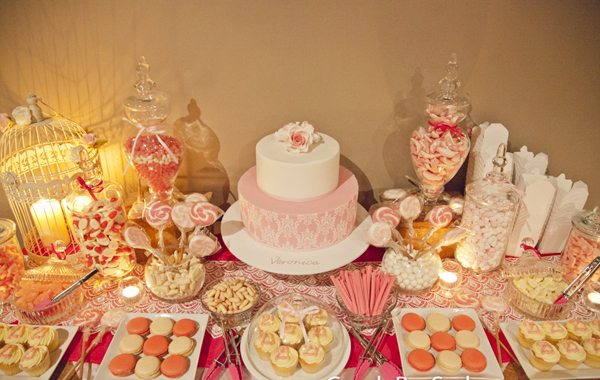 Accentuate the wedding cake by placing it on the distinct table. 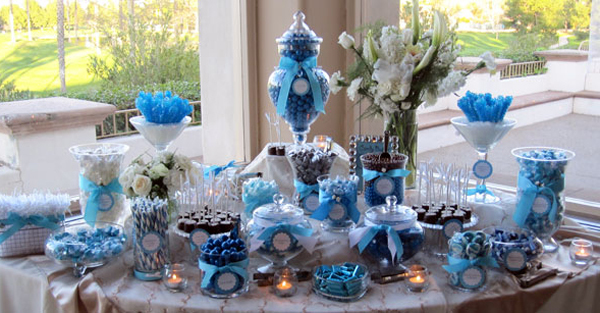 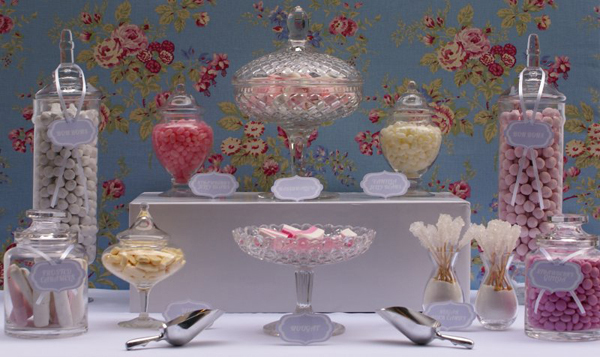 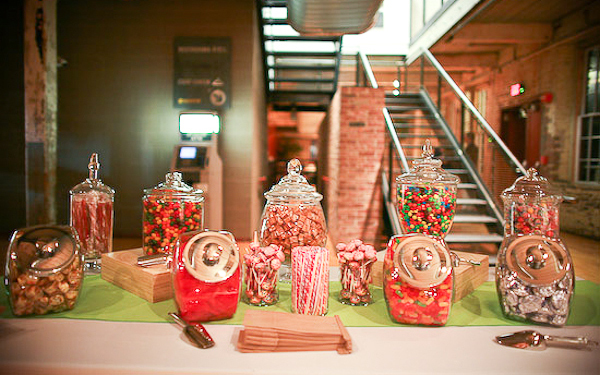 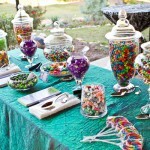 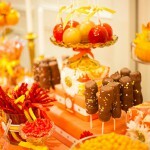 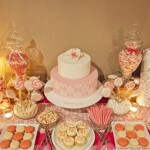 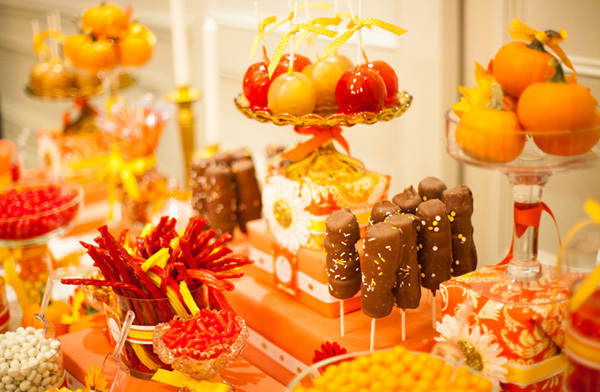 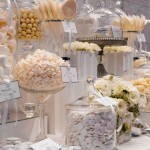 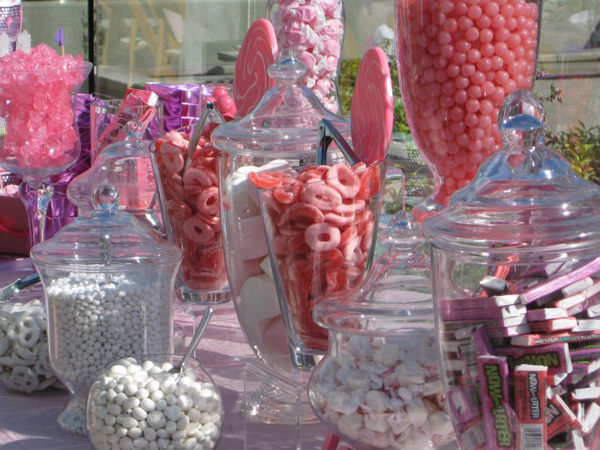 Place the candy buffet in the spacious area so that guests could take the candy from both sides.